Growing up, singer-songwriter Kat Pace charmed her family and everyone within an earshot, strutting around, singing along to every song she could into a hair brush. She was gifted musically and theatrically, but acting would soon eclipse singing. However, a chance opportunity to record some vocal demos for her burgeoning theater career put her back in touch with her first love, music. Embracing a new chapter in creativity and confidence, Kat issues her masterful debut EP, the aptly titled Survivor. Kat was weaned on 1970s singer-songwriters, show tunes, and Italian-American doo-wop. From that foundation, she has embraced pop, contemporary and singer-songwriters. Her current EP, Survivor, was produced in Nashville, and befitting of its locale, integrates modern country flourishes. Lately, live, and on upcoming recordings, Kat’s music has been blooming a bluesy soul-pop aesthetic. 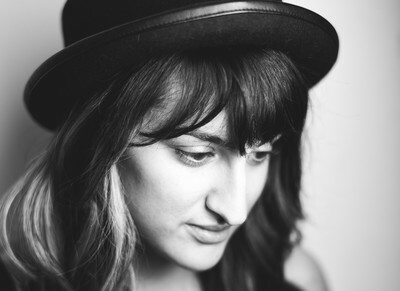 Lyrically, Kat writes with empathy, earnestness, poetic elegance, and dashes of quirkiness. Her vocals possess a dynamic emotionality that doesn’t sacrifice pristine pitch and melody for plaintive, from-the-heart expression. Kat has garnered an engaged fanbase through performing regularly in New York and Philadelphia. Select live highlights include performing at a Big Brothers Big Sisters fundraising event in Hershey, PA with a host of performers, including on-the-rise country music artist Jessica Lynn. In December 2015, she started working on her first full-length album. A sneak peak reveals the album showcasing a refined folk-pop vibe glimmering with hues of blues and soul. As an actress, Kat has built an impressive profile. She earned her bachelor’s degree in theatre from University of Maryland where she had the opportunity to perform at the Kennedy Center and the DC Capital Fringe Festival. Kat made her New York City acting debut in the off-Broadway play Visiting Day. She’s since been in several plays and cabarets in the surrounding area. Select highlights include Bound for Broadway, Cranky Cabaret, Macbeth Off Broadway, and Night of the Creeps, a one-act play which qualified as a semi-finalist in the Long Island City One Act Festival. Besides shaping her creative perspective, Kat actually got back into music through doing voice demos to showcase her acting chops. When Nashville producer Sean Giovanni heard Kat singing, he encouraged her to write and record her music, offering his services as a producer and a co-writer. The process of recording would return her back to music for good. “The medium of recording, helped me to find myself,” Kat affirms. The profound experience of recording the EP is vibrantly captured in the video for the title track. The video documents the musicians and Kat pouring their heart and musical gifts into the EP. It’s elegant and barebones and captures the soul of what has been a life transforming experience for Kat. Thematically, the album loosely documents stages of a breakup and uses this lens to offer a message of self-knowledge and empowerment. “Right now, the biggest thing I want to communicate is a sense of independence because I didn’t think I had that in me before I wrote this album,” Kat confesses. EP standouts include “Broken Heart Breaking,” “Where To Find Me” and “Survivor.” The stirring track “Broken Heart Breaking,” with anthemic hooks, details the unraveling of a relationship, thus beginning the relationship narrative. “That’s the moment where you realize you both don’t love each other anymore, but it’s so hard to let go,” Kat says. The track “Where To Find Me” simmers with positive self-realization after a painfully complex event. Here the protagonist has literally got her groove back. Kat’s uplifting soul-pop evokes the walking-on-clouds-feel of classic 1960s Stax or Hi-Records, but also conjures contemporary blue-eyed soul. Kat sings with sass and sensitivity, spinning intimate verse melodies before heading skyward during the choruses. The track “Survivor” is pop fight song that with sleek and smart hooks rouses you to reclaim your heart from toxic and unappreciative relationships. While Kat is growing as an artist, and honing her signature sound, “Survivor” will always have relevant meaning to her path and to the impact she hopes to make with her music. “I wasn’t brave and independent when I was a kid, but music has given me confidence, and now I want to do that for others through writing about strength and independence,” she says.